Modern British pub and restaurant, Wuky's nook is available for private parties. Lovely food and great value, just the portions were a bit too big. Excellent food and service would highly recommend. Great local pub/ restaurant. Will not go anywhere else. Great food and drink. Young children felt welcome and provided with coloured pencils and colouring in sheet. Will definitely return. Lovely food and perfect surroundings .Nice that they cater for kids as little people have to eat too.Prices are fine and good value for money.In all a great visit and will definitely use again. Eat here regularly, but for some reason the chips are never as good on a Sunday night, maybe a different chef? Great as always, that's why we keep coming back. Everything was nice all around, stunning food, enjoyable music, lovely staff, really enjoyed it. Overall a great evening meal. We are local and regularly visit. What let this down was being sat next to the sliding door into the bar. It was constantly being opened and closed and I had to open it during my meal a number of times for bar staff carry drinks. Whilst I could’ve asked to move, we were into our dinner and didn’t want to make a fuss. I visited on 30th March there was 6 of us for my mams birthday. the service was really slow they brought out 1 plate at a time so we were sat quite a while before everyone got their main courses. Then dessert we ordered 6 which again took a long time to get to us one by one and my cheesecake didn’t come at all so I asked the lady to just have mine to go! No cream with it as I asked either :( the cheesecakes were advertised with chocolates but they came plain. 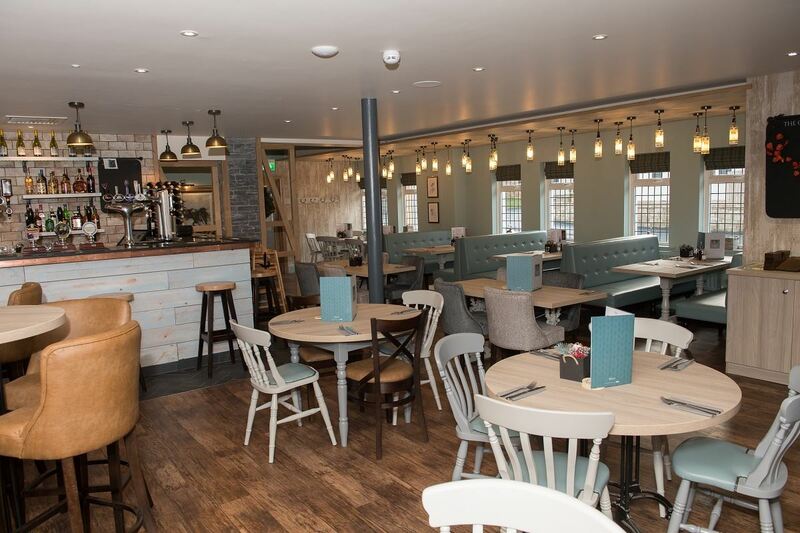 the food was lovely I had scampi and couldn’t fault it but sadly this has happened on 2 occasions the service has been poor which would now put me off returning. I should only come when I know Jacqui is working as she is awesome! My sister has an egg allergy and was very well catered for on her afternoon tea. Staff very attentive. Nothing was any trouble. Pretty good Sunday lunch, essentially a carvery that is done for you. Beef was a bit tough in places, and the lamb a bit fatty (but that's normal). Tasty though. Veg was just ok. Carrot and swede was a bit watery and cabbage a bit tasteless. Why no peas or sweetcorn? Very quick service, but I guess it was all done already. Service was a let down unfortunately. It was busy in fairness but we were sat for around 15 minutes before someone came for our drink order and then they never reappeared so I only had one drink, others who were desperate went to the bar to order one themselves. All in all, food was very tasty and I’ve no complaints bar the steak going cold waiting for our sauces to appear, service could be improved but would revisit. Excellent service, food arrived quickly and great value! !